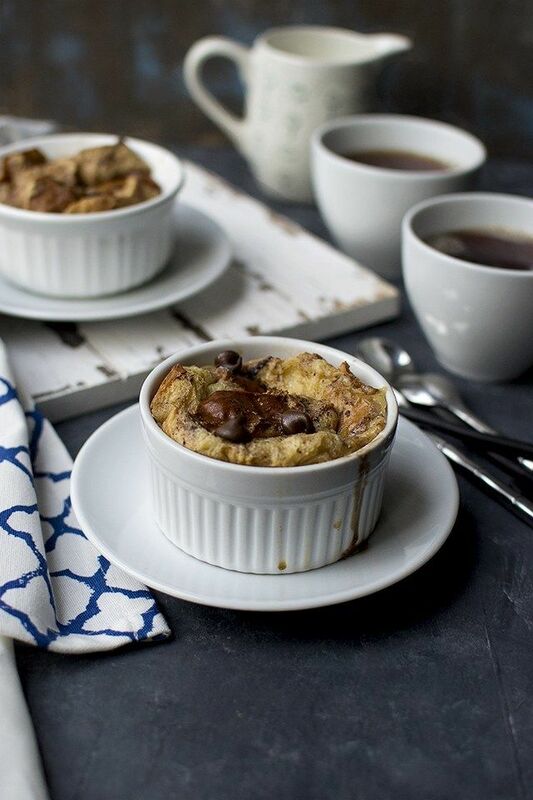 This bread pudding using challah bread is easy to make. It makes for a great brunch dish or as a delicious dessert to be served any time. Heat oven to 350°F. Lightly brush a baking dish or mini baking dishes with melted butter. In a small saucepan, warm milk, butter, vanilla, sugar and salt. Continue cooking just until the butter melts. Cool slightly. Add the bread cubes to the baking pan/ pans. Add the eggs to the cooled milk mixture and whisk until well combined. Bake for 30~45 minutes or until the custard is set and the edges of the bread have browned.